Our extensive collection of RSR design rocking chairs to the world famous designs of Charles Eames. The RSR rocking chair is available in 35 colors. First pick a main color and then pick your exact color variant. The white RSR design rocking chair was deigned by Charles Eames. High quality reproduction for the best price and in multiple white colors. 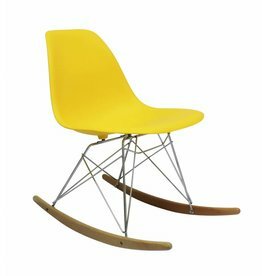 The orange RSR design rocking chair was deigned by Charles Eames. High quality reproduction for the best price and in multiple orange colors. 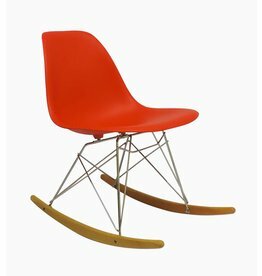 The red RSR design rocking chair was deigned by Charles Eames. High quality reproduction for the best price and in multiple red colors. The blue RSR design rocking chair was deigned by Charles Eames. High quality reproduction for the best price and in multiple blue colors. The pink RSR design rocking chair was deigned by Charles Eames. High quality reproduction for the best price and in multiple pink colors. The green RSR design rocking chair was deigned by Charles Eames. High quality reproduction for the best price and in multiple green colors. 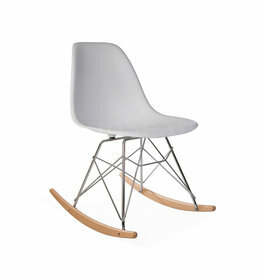 The grey RSR design rocking chair was deigned by Charles Eames. High quality reproduction for the best price and in multiple grey colors. The brown RSR design rocking chair was deigned by Charles Eames. High quality reproduction for the best price and in multiple brown colors. 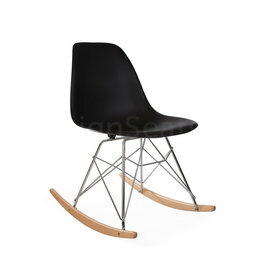 The black RSR design rocking chair was deigned by Charles Eames. High quality reproduction for the best price and in multiple black colors.